What could be better than jumping into cooling sea after a strenuous hike? Is there any better reward after a long (or short) walk than a dip in the cooling sea? If you love the combination of hiking and swimming we highly recommend reading our guide – we take you on the best hikes, to the island’s most beautiful beaches. Some of the hikes are long and challenging which means that good equipment is often essential while others are short and could be easily combined with a Sunday family day out. Some beaches will surprise you with their idyllic setting. After all, not everyone wants to walk for half an hour or more just to get to the beach. And, if you can’t be persuaded to go hiking, just take a look at our selection of the best beaches on Mallorca. 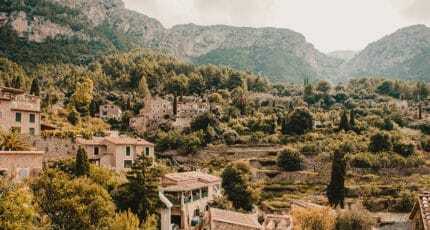 Although you can get to Cala Deià by car we recommend the relatively easy walk here of about 30 minutes, on which you can also to get to know the beginning of the well-known Dry Stone Route. 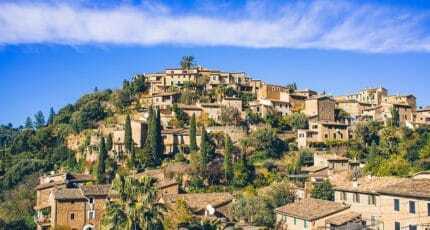 As you head out of Deià you will see signs pointing the way to the bay. Once at Cala Deià you will be able to enjoy crystal clear water and a restaurant that is well known for its excellent fish. Would you like to go on an easy and relaxing hike to a secluded bay that you may even be lucky enough to have all to yourself? 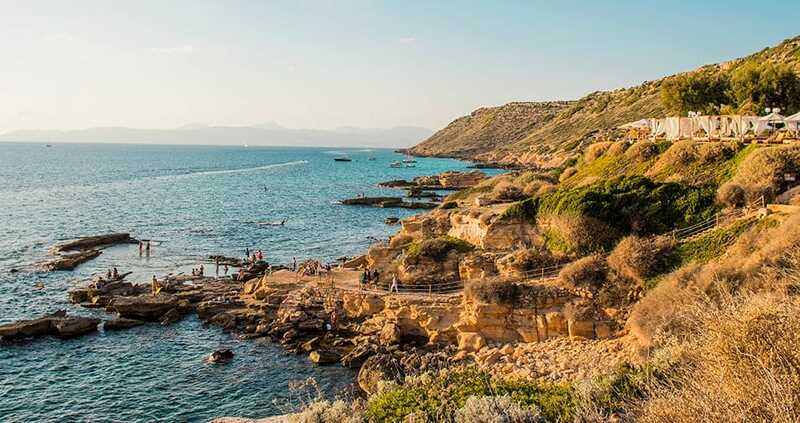 If you head out of the small village of Betlem, on the east of the island, a one-hour hike through pine forests will take you to the Es Caló de Betlem as well as a further bay, just before the Cap Ferrutx nature reserve. You will have the sea on one side and the mountains on the other. The beach is sand and pebbles. It’s far too hot for anything other than whiling away the hours by the beach, but you still want somewhere peaceful and idyllic? 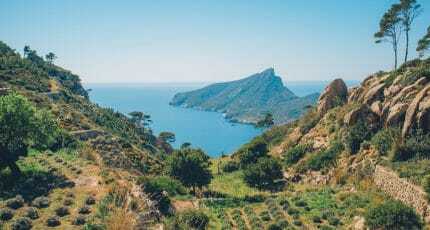 This might be quite hard to come by in summer but at Cala Bóquer you stand a good chance of finding just that – you may even meet a few goats along the way! 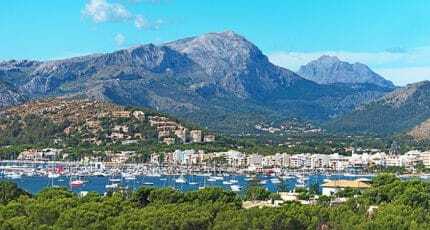 The approximately one-hour long hike starts in Port de Pollensa and offers beautiful scenery with a view of the sea and mountains. Cala Bóquer is a pebble beach, there are no facilities and it is recommended you take a parasol. 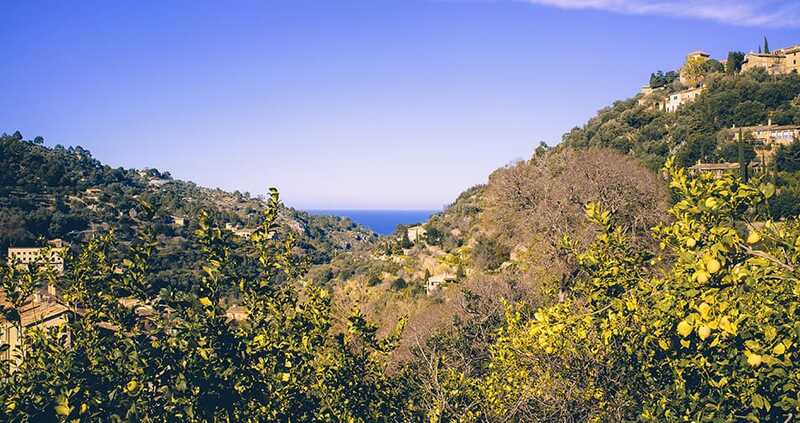 The “Delta”, as it is known by the locals, refers to the coastal cliff around Maioris Decima. You can park in Maioris but to get to the water you then have to walk down the steep slopes and this may take up to 45 minutes depending on your chosen path. The reward, however, is more than worth it: crystal clear water, many fish, a paradise for divers and you often have the place to yourself. There isn’t a beach and you have to enter (or jump) into the water from the rocks but this is more than compensated by the clean, cool water and peacefulness which is particularly nice in peak summer. Again, don’t forget to take a parasol! 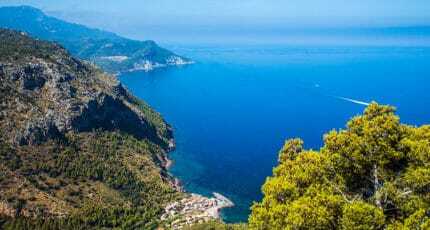 After a night in the stunning Lluc monastery you can go on this challenging, around five-hour-long hike at the end of which you will be rewarded by Sa Calobra – probably Mallorca’s most beautiful bay. 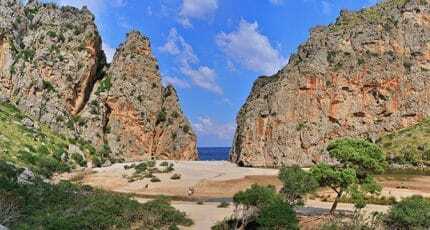 It is also possible to reach the bay by car but the experiences and impressions gained along the way through the Torrent de Pareis canyon are unbeatable. A mountain guide is recommended as this is a difficult hike. 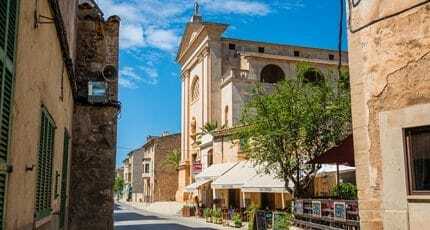 We hope you have found this article about the Five hikes on Mallorca that will take you to the sea useful and that you have many memorable stays in Mallorca as a result of our recommendations.